Model XB3236-D-PB Square Automatic DaVinci Kiln with a Multi-Program Three-Zoned DynaTrol control. Floor-standing control panel. 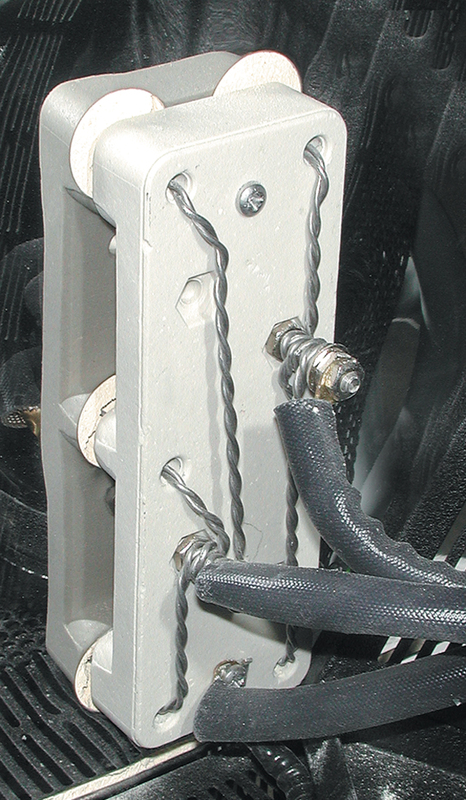 Sectional and modular construction allows future expansion aided by the unique adjustable spring-loaded counterbalanced welded and powder-coated hinge system. Stand is a welded steel frame with a sheet of aluminized steel between the bottom brick and the stand. Sides are made of specially machined arched bricks for strength. 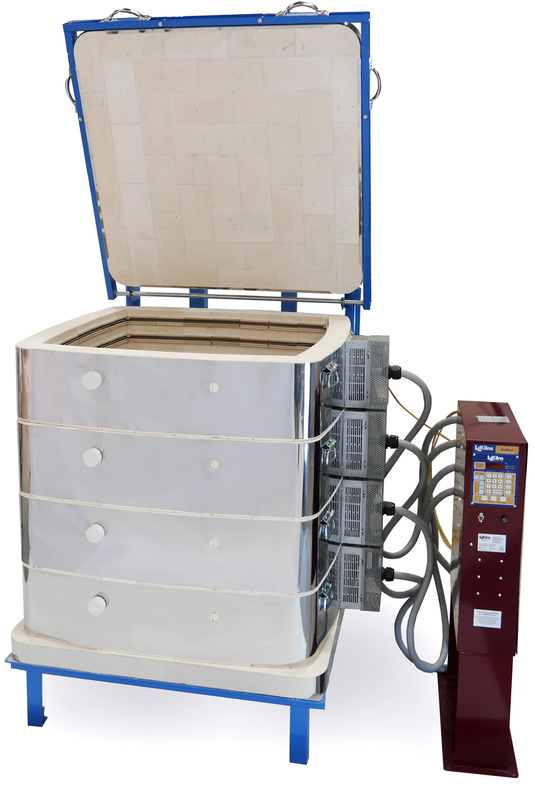 Kiln comes with hard ceramic element holders, thermocouple protection tubes, and solid peephole plugs. 30-1/2" Wide x 30-1/2" Deep x 36" High (20 cubic feet). Extra power elements for faster heat up. Includes a powered bottom that operates from a separate adjustable circuit on the DynaTrol. 3" K23 brick. Direct power connection. C-MET-us listed in the USA & Canada. Cone 10 all voltages. Click on Red Arrow to expand specifications for each voltage. When printing the page expand the voltage specifications first. Construction: Stainless steel wrapped around shaped firebrick. There are three adjustable clamps welded to each casing. All assembly is with stainless steel screws. Unique shallow side arches create super-strong sides and allow for plenty of space for air circulation around kiln shelves. Hinge: Welded angle iron counterbalance system with springs. Safety latch included. Welded angle iron with leveling bolts. Stand: The welded angle-iron stand is separate but attached to the case. It includes leveling bolts and holes for anchoring the kiln to the floor. The angle-iron frame is covered with a layer of aluminized steel which the bottom of the kiln sits on. 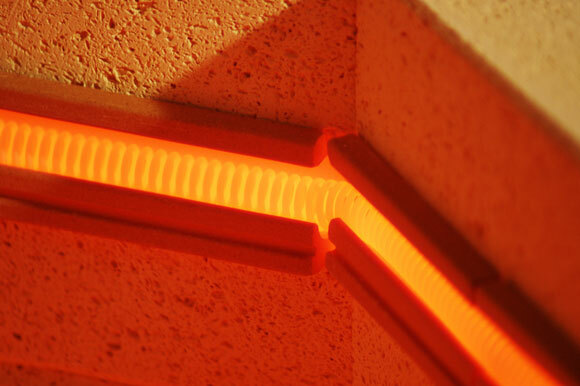 Brick Coating: A proprietary brick coating is applied to all interior surfaces of the kiln. This is put on before the element holders are inserted. 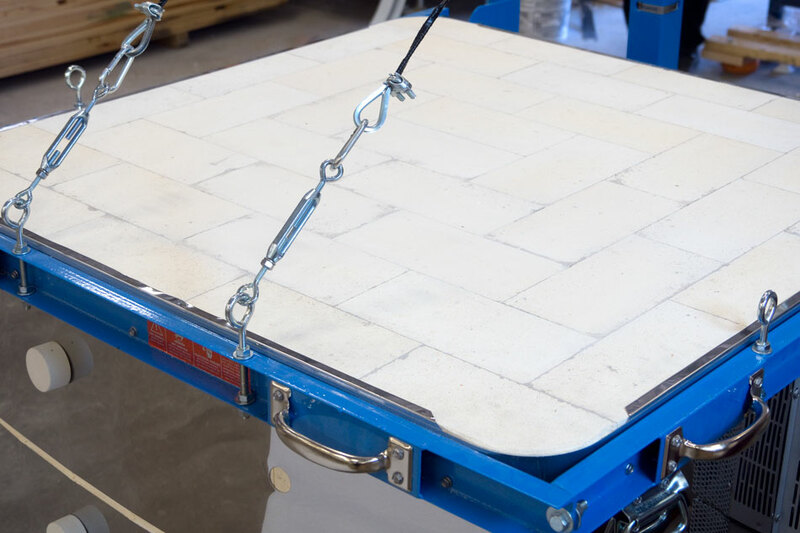 This coating penetrates the firebrick and fuses the surface on a microscopic level which helps prevent dusting and crumbling of the fragile firebrick. 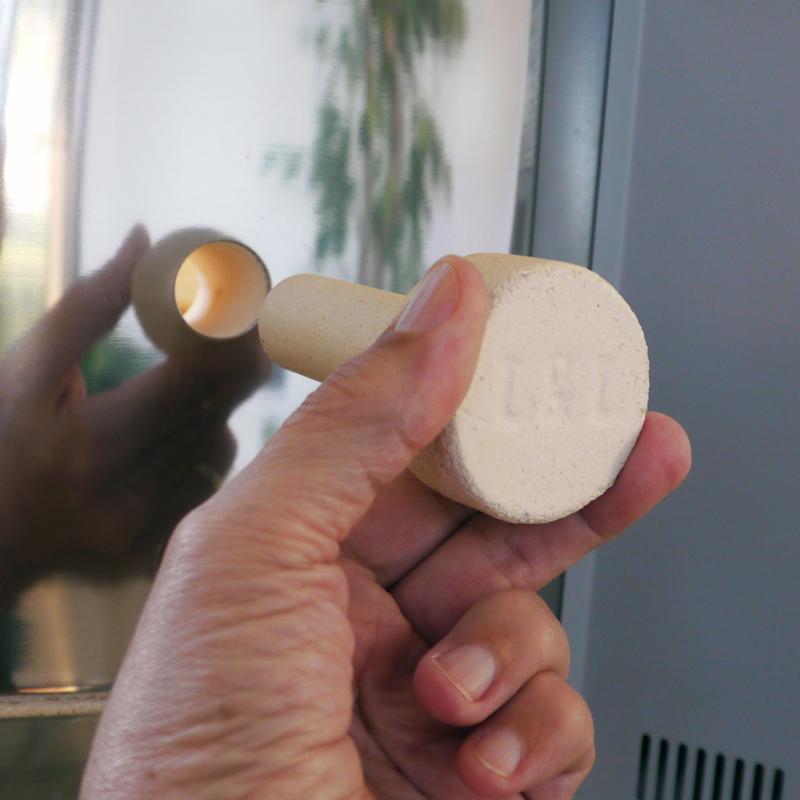 Peephole Plugs: Solid ceramic peephole plugs with full 1” diameter. Four total: one per section. Zones: Three control zones with three separate thermocouples. More about zone control. Control Box Mounting: Floor-mount Plug-in. 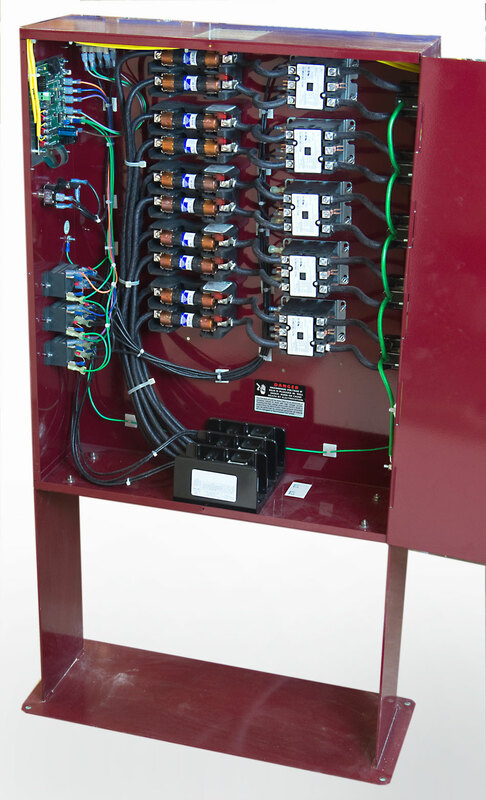 Control Panel Service: Control box cover is hinged for easy access to inside of control box. DynaTrol is in a removable handheld box. Entire control box is removable. Durability, Repairability, Better Heat Transfer. The smooth, hard surface of the inside ceramic channel allows the elements to expand and contract freely. No pins! 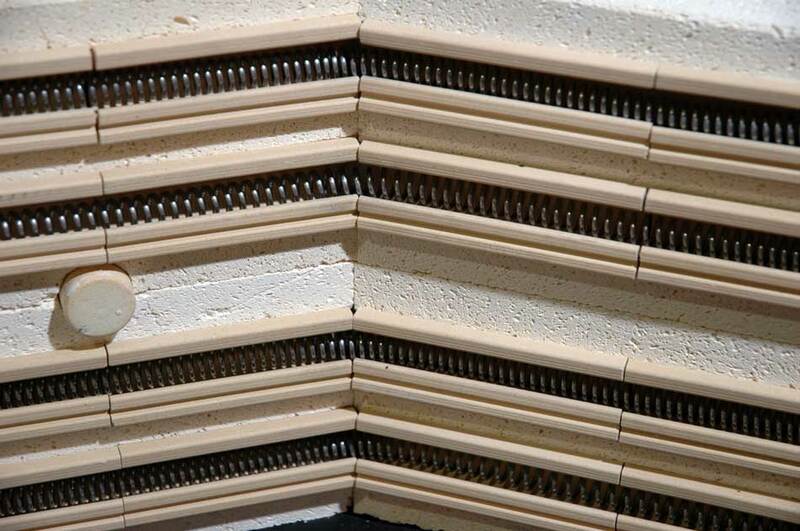 The dense ceramic holders extend element life because they do not insulate the hot elements from the kiln interior. Mullite protection tubes extend thermocouple life and keep kiln clean. The mullite protection tube keeps the metal oxides of the thermocouple tip from dropping off and contaminating your work. Thick 8 gauge thermocouples last a long time. Special Limit of Error to ANSI MC96.1 specifications is used. Industrial grade ceramic terminal blocks make changing elements easy. Special brick coating hardens and seals brick for durability and cleaner operation. 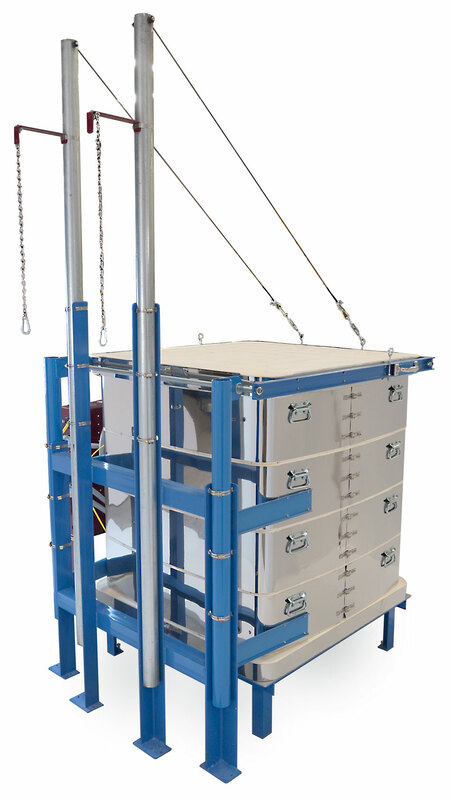 Three case clamps per 9" high kiln section are redundant safety for your L&L kiln. Corrosion resistant materials and methods result in a long-lasting kiln. 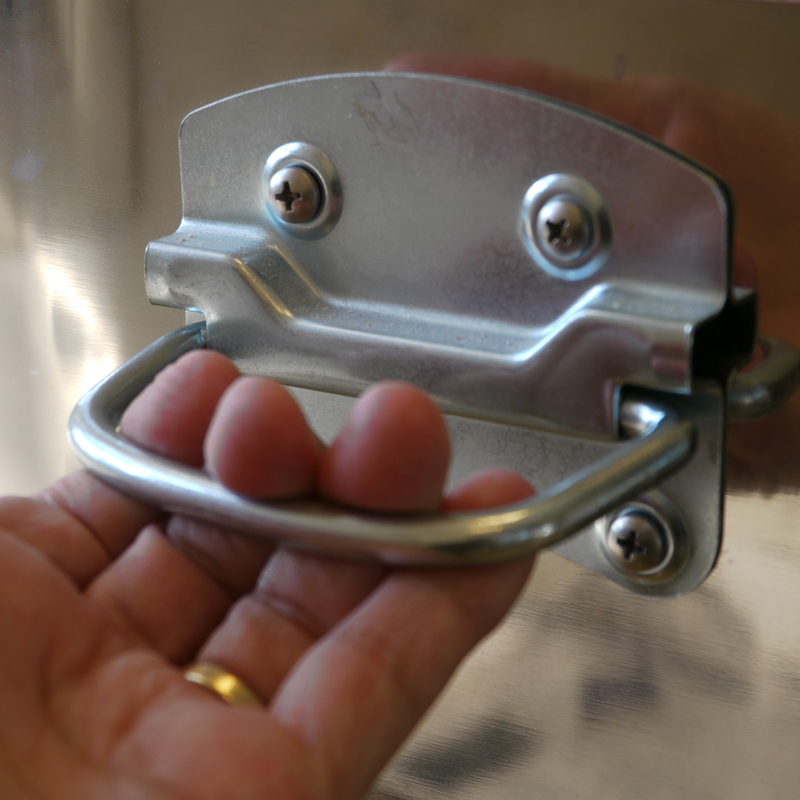 Stainless Steel clips help the lid stay secure and durable. This extra step ensures that the lid won't slip out of the stainless steel band. 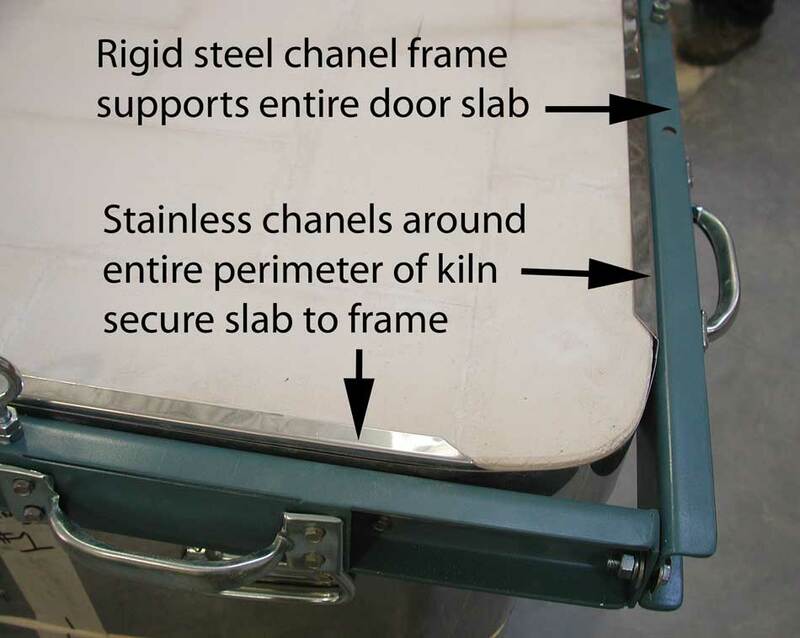 A unique welded rigid frame supports the entire lid on a DaVinci kiln. Welded heavy-duty stand supports heavy loads. Alumized top sheet reflects heat. DynaTrol with 4 Easy-Fire programs (Slow Bisque, Fast Bisque, Slow Glaze, Fast Glaze), 6 custom programs, PreHeat, Delay, Program, Segment Review, and Diagnostics. 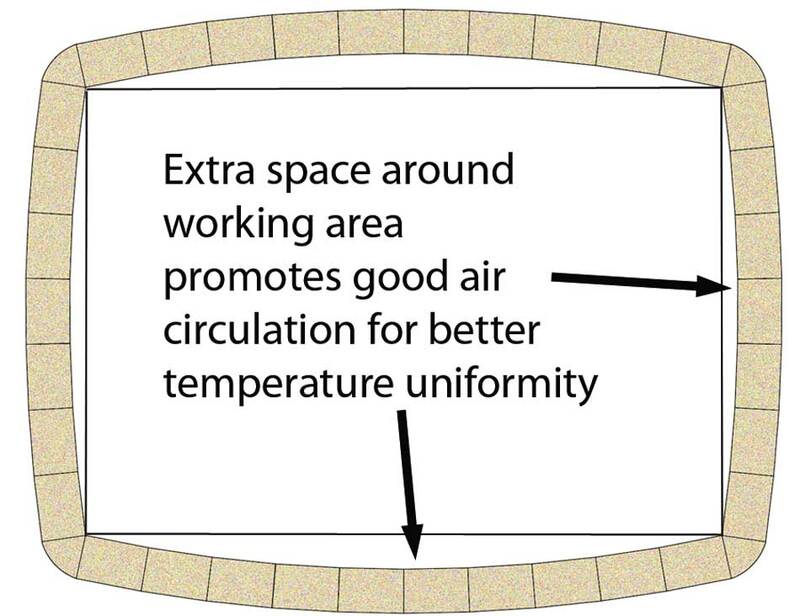 Zone control included on most kilns. 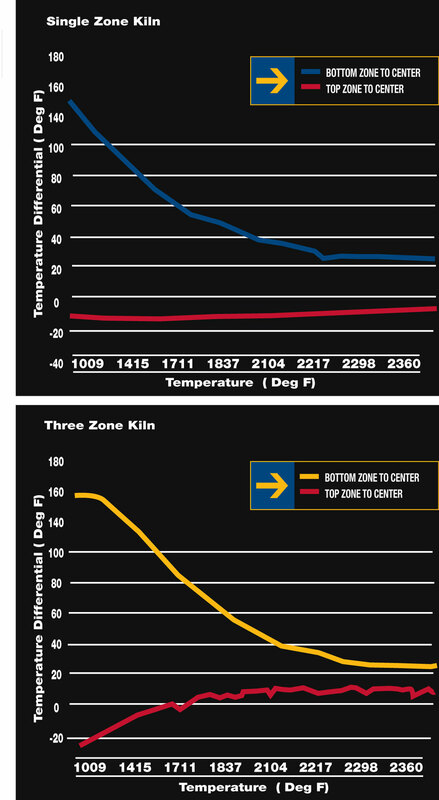 Zone control gives you the utmost in controllable temperature uniformity. 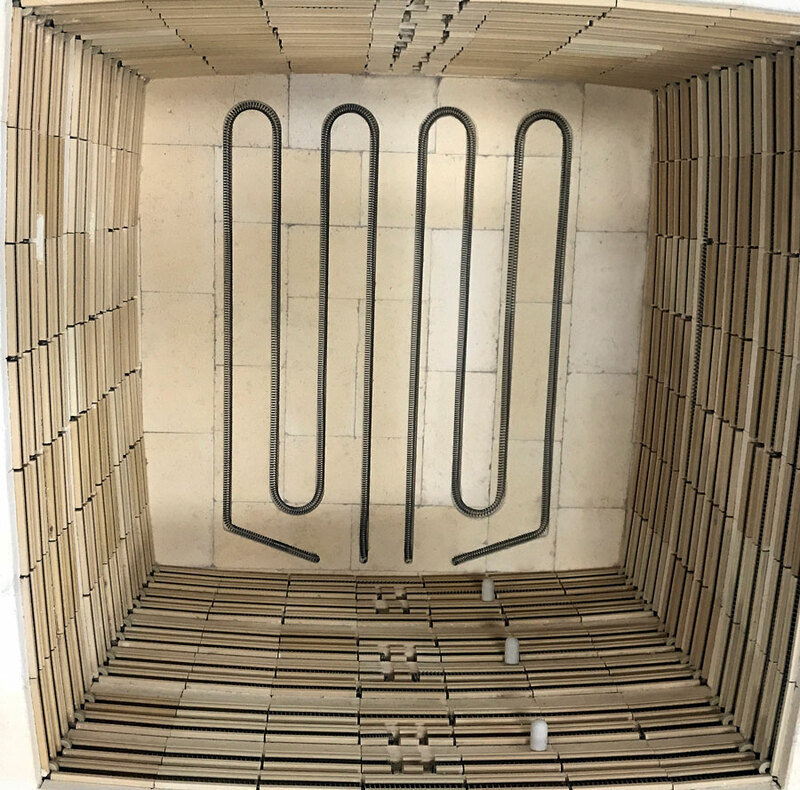 The DynaTrol separately measures temperatures in the bottom, middle and top of the kiln and automatically adjusts the heat output of three zones during the entire firing. 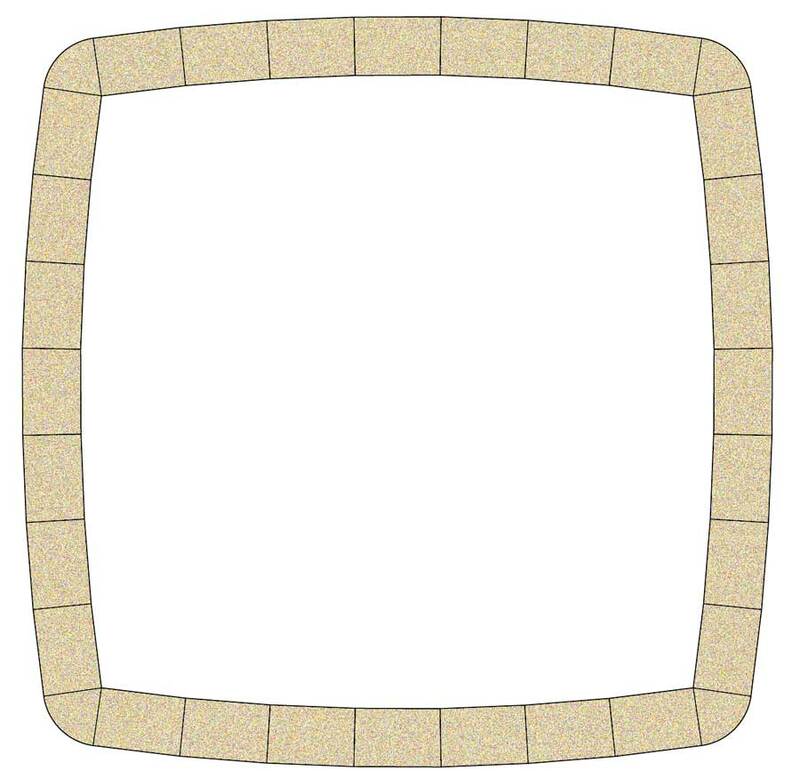 Solid large non-tapered peepholes allow a wider view into the kiln. Even the largest DaVinci lids can easily be lifted by one person. 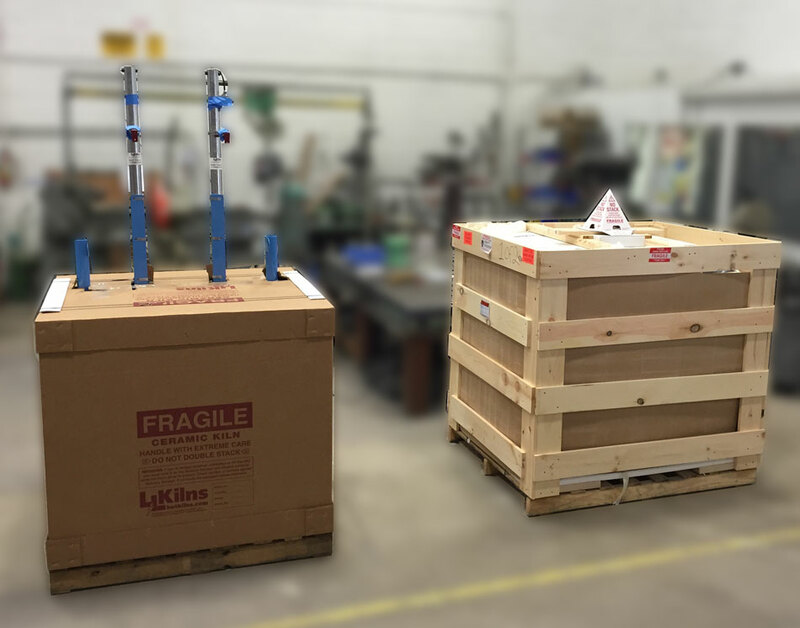 Most L&L Kilns have a three-year limited warranty. The combined experience at L&L Kilns in kilns, ceramics, electrical engineering and process engineering is unsurpassed. We work as a team to help you get you answers and help. 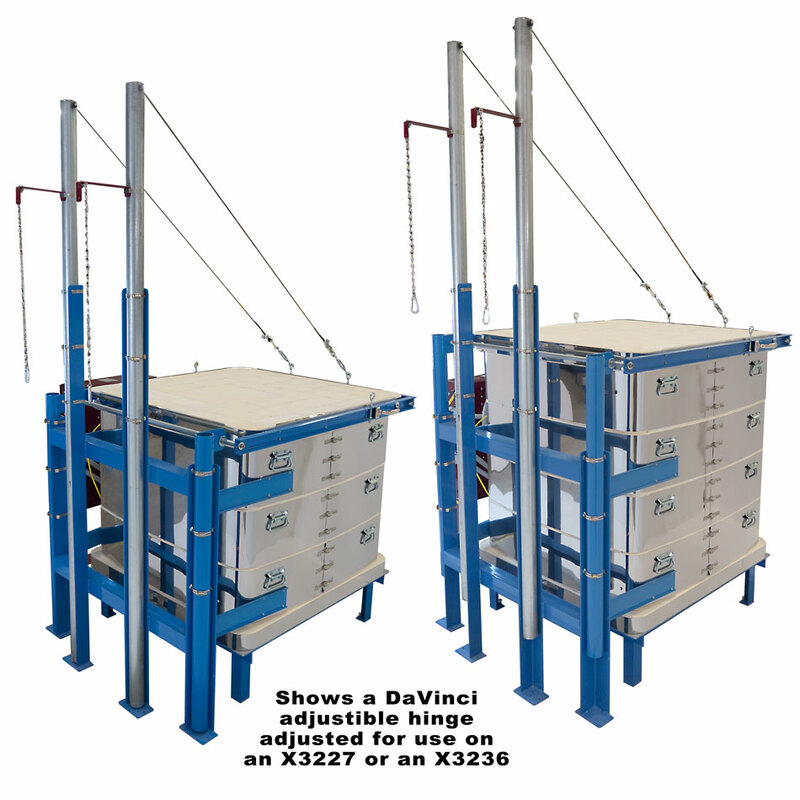 DaVinci Panels are wired to industrial standards with good clean wire layout. The control panel is mounted on a stand away form the kiln. The bottom can be easily reversed in case of a firing mishap. Sectional kiln construction make DaVinci kilns easy to move, set up and disassemble for maintenance. Most L&L kilns are MET listed to UL499 standards. Listed kilns include Easy-Fire. Jupiter. DaVinci, School-Master, Liberty-Belle. Hercules & Easy-Load kilns areMET-Us Listed for US only. The combination of 1/2" diameter element coils, the doubled surface area of the Quad element design, and superior heat transfer of L&L's patented ceramic element holders, make this the best element system in the world today. Type S Platinum Thermocouples are recommended for high fire applications. NOTE: Price of upgrade is per each thermocouple. Pyrocil thermocouples are sensitive but limited to about 2200°F but offer greater sensitivity to temperature change and so may be appropriate in applications below 2200°F that require sensitivity. NOTE: Price of upgrade is per each thermocouple. 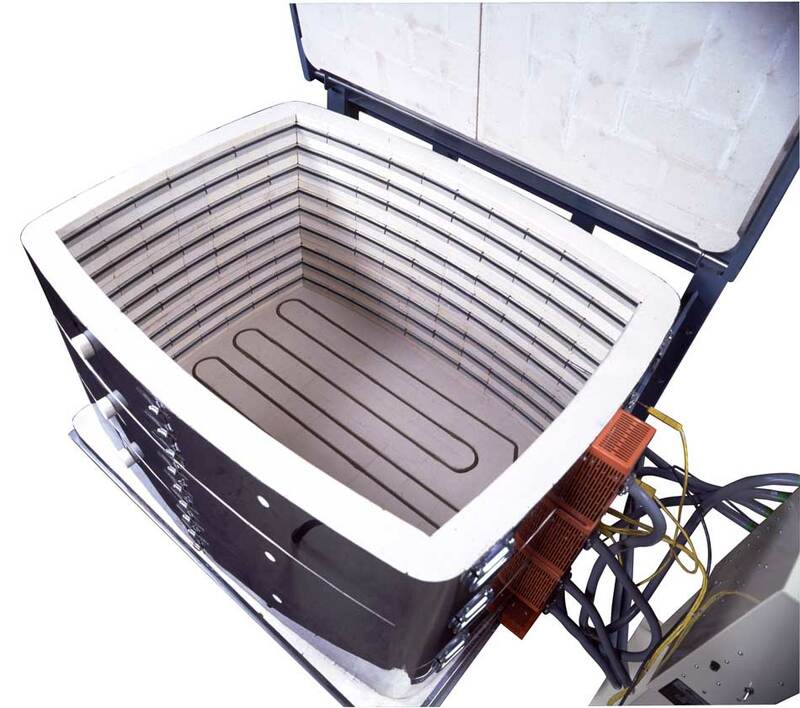 The L&L Vent-Sure Kiln Vent is the most powerful downdraft kiln vent on the market today. That means you have more flexibility in the installation. 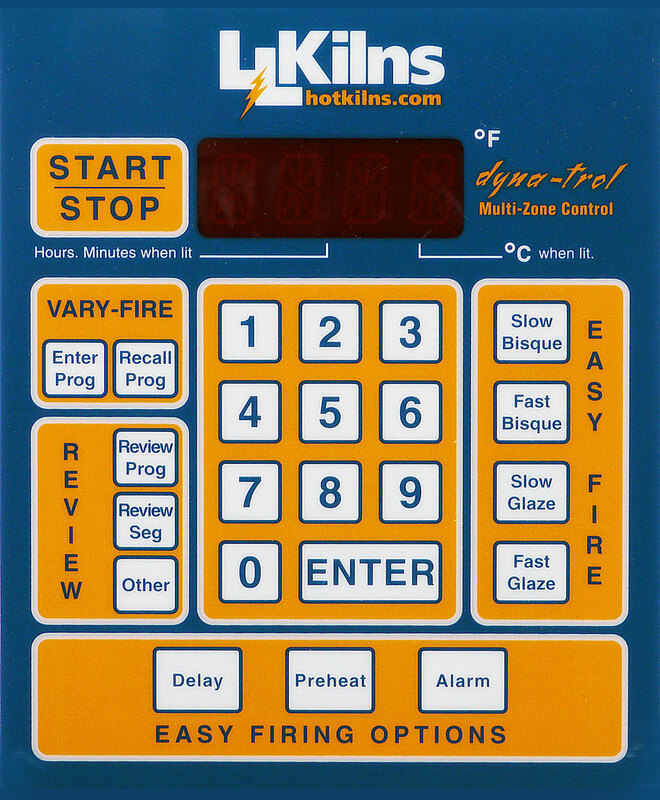 The Vent Control allows you to automatically control the operation of the Vent-Sure kiln vent with one of the outputs from the DynaTrol (or Genesis). 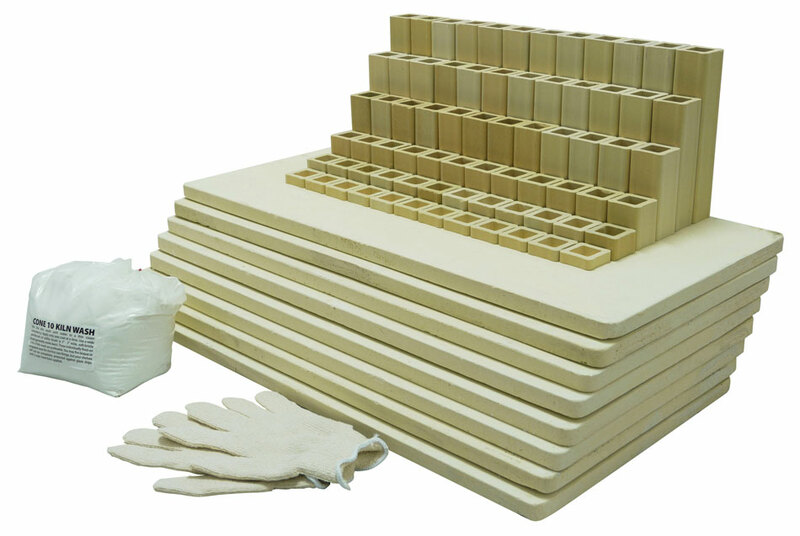 Kiln furniture kits are the recommended set of ceramic shelves and posts that go with each kiln model. These are for loading the work in the kiln. These safety gloves are perfect for handling hot work when unloading a kiln. The new Genesis control from Bartlett includes a touch screen interface and WIFI connectivity added to the proven software of the DynaTrol. Control, monitor and record data for up to 10 kilns from your computer for a one-time price. Electronic High Limit Back Up Control acts as an upper limit back up to the main control. The Eurotherm 2604 is an indutrial-grade PID control with two or three zone cabability built in. X3200, T2300 and T3400 DaVinci kilns can be ordered with a 4" thick ceramic fiber folded/formed module lid. Load your DaVinci kiln from all four sides. Available on T3400 and X3200 Series. Unpowered rings can extend the height of our DaVinci kilns. This special Seismic Kiln Rack and Brace is designed to prevent a kiln from falling over during an earthquake. (c) 2015 L&L Kiln Mfg Inc. All Rights Reserved.